<strong>Hi Lloyd, thanks for doing the interview. For our readers who don’t know who you are, please can introduce yourself? 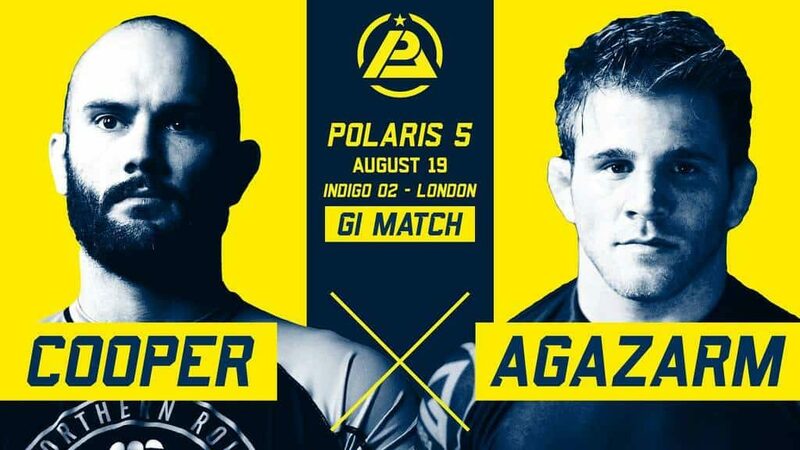 You will be going up against AJ Agazarm at Polaris 5. Can you tell people how you came to be matched up against him? This kinda happened organically – I have had a very successful couple of months, I went 5-0 at the euros submitting all my opponents which then led to me getting invites to Submission only Tournaments Densetsu against some real great adversaries of mine such as Sean Mcdonagh & Lee Simpson who I was lucky enough to submit all of my 3 matches, via Heel Hook. I then went onto Tanko where 200k people streamed the show and did the same to my opponent. (I sound like Carl Froch blabbing about 80,000 fans at Wembley to Floyd Mayweather). 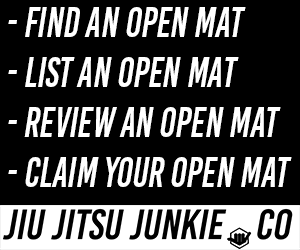 So there was a lot of positive buzz around what I was doing in the BJJ world. Then Mr popularity contest AJ puts on he wanted recommendations for a UK based grappler to fight and that I had to get 1K likes and 300+ comments. Which my mates duly did ! and Voila me Vs AJ Agazarm!! Unusually the match is in the gi. Who decided upon that and do you think that will give any other fighter an advantage or disadvantage? HA I’m calling none of the shots here, again Madonna (AJ) wanted the fight his own way – I wanted NOGI based on my recent run , the promoters wanted NOGI, the fans wanted NOGI – AJ wanted different. I do really believe everyone got into the guys head telling him I was going to separate his feet. But it probably will benefit me if anything – I wanted NOGI because it was what everyone wanted I took myself out of it. 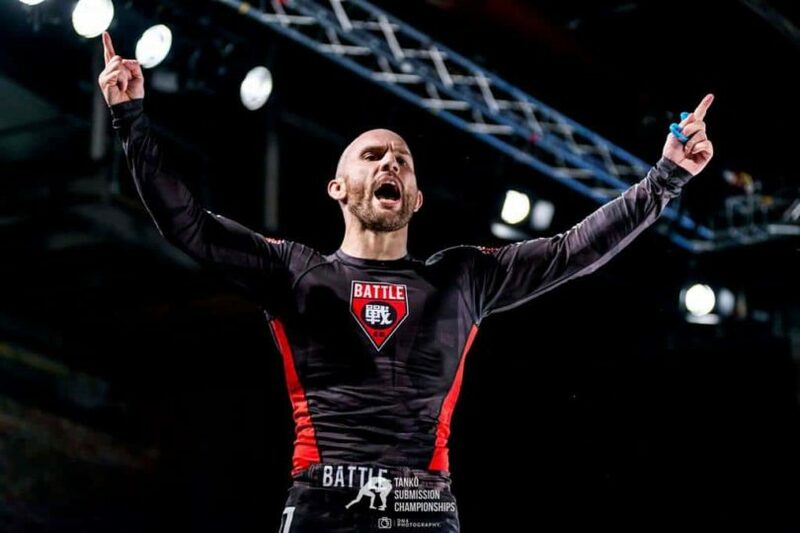 But he’s a NCAA class wrestler and a NOGI BB world champ – he’s definitely on paper the better NOGI Fighter. He then starts insisting on me making as lower weight as possible. I find it funny – he’s got all these credentials, had his BB since I was still a purple belt and can’t fight NOGI with someone one weight class up who works for a living. How will you be structuring your training? Will you be emphasising on take down defence knowing that you will be going up a high-level wrestler? As a true Yorkshireman would I’m going to do some double overtime shifts down the Pit digging the coal face for Cardio, and going to wrestle the beastie ladies in the local pubs on Friday nights when they get a bit carried away – This should stand me in good stead! On a serious note – not really his wrestling base largely is irrelevant! If he takes me down 15 times well done you’ve done nothing towards submitting me! I think I just need to be prepared for his base and his strength more than anything! But I’m fast and aggressive so I have my own part to play out in this!! You recently proposed to your girlfriend after winning Densetsu, tell us a little bit more about that? Livvy is the one who keeps me going honestly! I couldn’t function on the level I do without her tireless support. I suppose you could say my competition is directly correlated to my time with her ?. I had the idea of popping the question if I won the comp but I put it out of my mind to focus on beating the guys in front of me. But then once I had won they put the microphone in front of me I only had one thing on my mind to do! She’s a purple belt in Jiu Jitsu also so she understands the struggles of it all, she understands when I’ve been working all day and I need to leave the house at all hours to do Cardio or shoot off on a Saturday afternoon to get rounds in with my training partners instead of going out and doing things. Have you got a message for all the people who got you onto Polaris? This is where I need to show a deep level of gratitude, the prevalent idea in my head is that nobody can get anywhere alone, I could bust my chops training but without teammates and supporters you’re nothing! So from the bottom of my heart thank you all for getting me in a position to satisfy an inner drive – to compete at the highest levels I am capable. I just know I’m not at my limit yet I’m going to do more and more. Have you got any words for AJ?